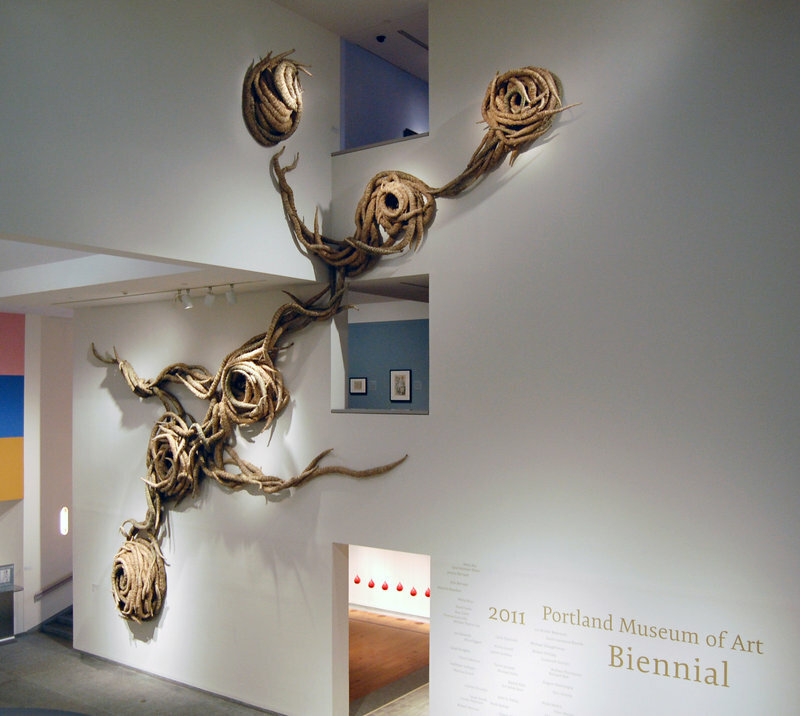 The Portland Museum of Art 2011 Biennial is an excellent exhibition. It stands with the 2001 Biennial as the best yet. It is handsome, interesting and exciting. It is beautifully installed, and features fantastic art. Of course, it isn’t perfect, but shows that are juried anonymously from digital images are notoriously splattered with wayward bits. The jury comprised Jim Kempner (a New York art dealer), Joanna Marsh (the James Dicke Curator of Contemporary Art at the Smithsonian American Art Museum) and painter David Row (a Portland native who splits time between New York City and Maine). I commend the jurors for their choices, but I reserve the highest praise for the PMA’s Sage Lewis, who took over all curatorial duties once the jurors had made their selections. While the previous biennial was agonizingly cramped and claustrophobic, this one breathes easily, and uses the gallery space as well as any recent exhibition at the museum. The PMA’s foyer sets the tone with two excellent wall installations. Alisha Gould’s 36-foot-wide installation of tiny white ceramic vessels spurting from the wall professes a dynamism that proffers a brilliant metaphor for the internal, potential energy of art as it relaunches itself to the public. 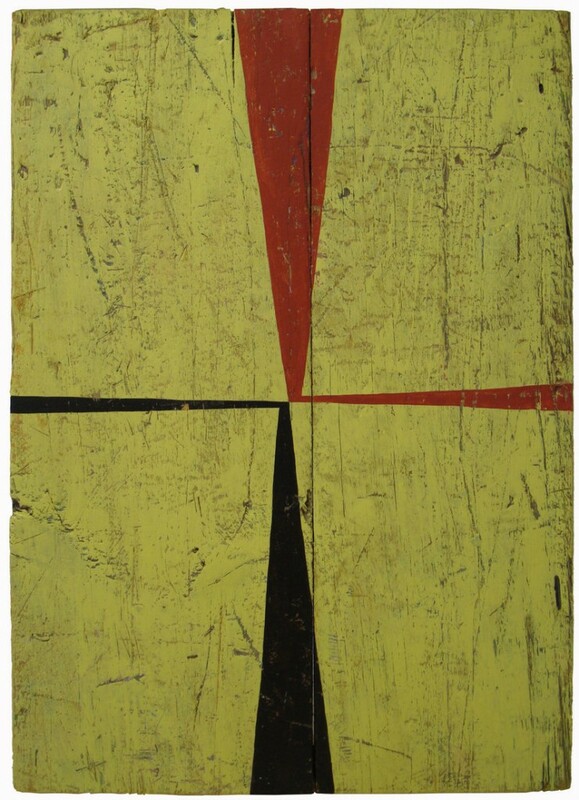 Titled “Ejecta” (after the material expunged by volcanoes or meteor strikes), it compellingly hints that the impact of directed energies, astral or cultural, is widely dispersed. Michael Shaughnessy’s giant hay and twine wall piece sweeps up and into the space with an uncanny organic intelligence. It draws you in close with its deliciously sweet fragrance and pushes you back to try to see it as a whole. It even dares press an impossible question: Is it a sculpture, an installation, a drawing or something else? It might be the largest thing I could ever describe as “exquisite,” and it’s one of the best pieces in the Biennial. Entering the exhibition is no disappointment, either. Kim Bernard’s “Synergy” joyously greets you: 17 cantaloupe-sized drops of red wax on steel wires bounce calisthenically from vaulted metal arms. Activated by volunteers every 10 minutes, “Synergy” hints of music with its arms, and of dance by its bouncing, waxy drops. Glovinski’s wrapper is also the punctuation to my favorite curated space in the show. It binds together David Caras’ deliciously vivid photographs of wildly wired Cuban building foyers, Ellen Wieske’s loopy wire quilt, Mark Ketzler’s ethereal seascape and Avy Claire’s dreamy installation. The latter, “For the trees,” features huge, hanging sheets of Mylar, on which the artist repeats a drawing of a tree in swirling script echoing words seized from radio news. The wires, looping script rhythms and landscape elements all together, make for a breathtaking oasis of brilliant wit. The most powerful works of the show include a small group of identity-oriented photographic pieces. Not only are William Cox’s two portraits of “cutters” (self-harm victims) incredible photographs, they also might bring you to tears. The illness of cutting is comparable to eating disorders, and it is frighteningly common among young people today. The brutal power of Cox’s photographs stems from their disturbing honesty. As horrific as these may strike you, they are incomparably moving and important. 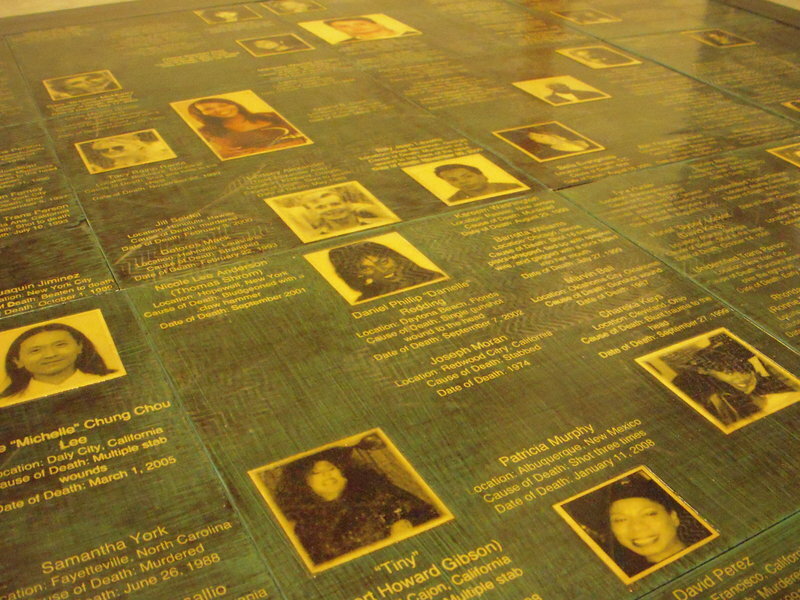 Similarly worthy and powerful is Gavin Rouille’s “Transgender Walkway,” a mixed-media painting and photographic piece on which you can step that lists and pictures transgendered Americans who were recently murdered simply because of who they were. Across the diminutive hall from Cox’s cutters is probably the most gorgeous and iconic image of the 2011 Biennial: Siri Kaur’s C-print depicting a young and tough (though vulnerable) cruiserweight wrestler moments after a victory. Pre-sexual, “Kristie” is nonetheless a beautiful young woman. It is a photograph for the ages. I also particularly like Richard Veit’s refined architectural photographic abstractions and John Kelley’s sophisticated meditations on spare, Maine landscapes. While I am tempted to list the few paintings that have no business in this biennial, I would rather list the few that shine: Mark Wethli’s semiotically brilliant and sophisticated found (and painted) panels, Marissa Girard’s powerfully knifed confrontation between nature’s and humankind’s versions of ultimate power, and Kathleen Galligan’s beautifully painted primordial landscape. I also like Sarah Knock’s and Rebecca Rivers’ water surface images. For the most part, though, it seems the jurors viewed Maine’s plethora of great painting more as an afterthought than a primary vehicle. If not limited by space, I could go on at length about the worthy art in the show, but some additional favorites include: August Ventimiglia’s architecturally here-and-now reductive chalk line wall drawing; Alicia Eggert’s nervously twitchy, electronically interactive panel “Wonder”; Selena Kimball’s snaking collage of hacked-up engravings; Rachel Katz’s cut paper constellations; and Lauren O’Neal’s installation of piled chairs. Despite the fact that painting didn’t come to the party, the PMA 2011 Biennial is a credit to the museum, the jurors and Maine’s art community. It’s an entertaining, smart and enjoyable exhibition, and it’s Maine’s first “don’t-miss” show of 2011.